To stay warm and lower costs, make your heating system work at peak efficiency — at no cost to you. 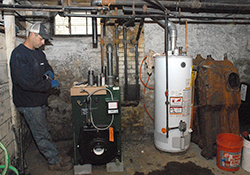 If you live in Boston, Brookline, Newton or one of the Mystic Valley cities and towns of Malden, Medford, Everett, Melrose, Stoneham, Winchester or Woburn and you receive ABCD Fuel Assistance services, you will qualify for our Heating System Repair and Replacement program (HEARTWAP). Services are available to households at or below 60% of the Massachusetts median income. ABCD follows federal guidelines based on your annual income and how many people are in your household. ABCD’s Heating System Repairs and Replacement program provides you with repairs and tune-ups or we can install a new furnace or boiler if yours is inoperable or inefficient. 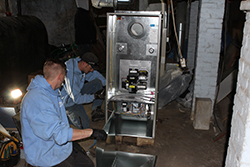 We also offer repair services for emergency, no-heat situations for income eligible households in need. All services are available at no cost. Our goal is to ensure that you have a heating system that keeps you warm and safe.